Send poster of flyer : one file in .jpg format, maximum size 900 pixels. See other announcements in this website to get ideas for best presentation. Also post your announcement at Facebook, Twitter, other social media. Important: Write in the body of your email message country and region of the country where your event will take place. - CID is recognized by UNESCO, national and local governments, international organizations and institutions. - Its members are the most prominent federations, associations, schools, companies and individuals in more than 160 countries. 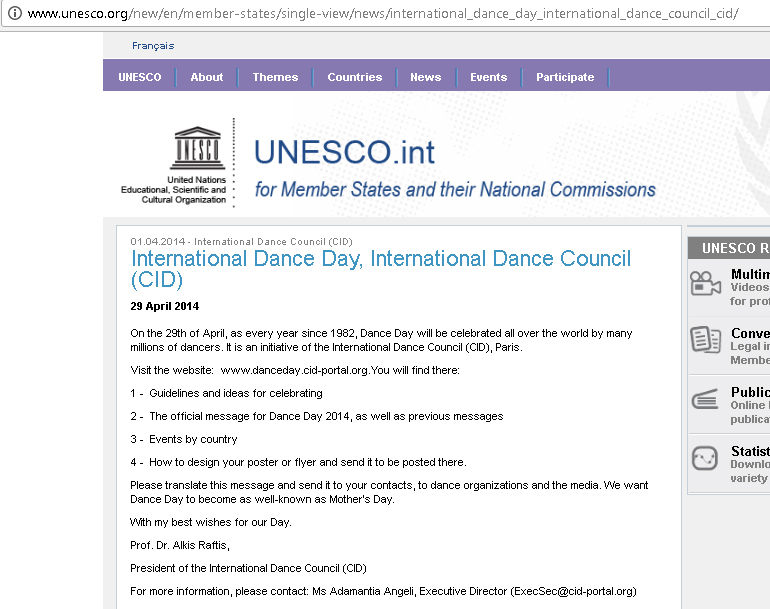 - UNESCO is the United Nations Educational, Scientific and Cultural Organization.